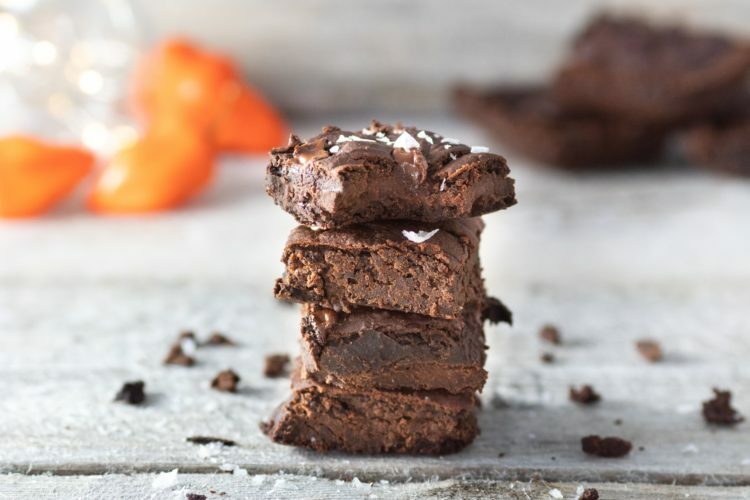 I was craving brownies today, so I decided to experiment and make spicy ones. I love the combination of chocolate and spice, don’t you? To make them on the healthy side, I decided to make them gluten free, dairy free and vegan! You will be very surprised how good they taste and how moist they are. To start you need to make your flax eggs. I find that refrigerating the flax eggs for 15 minutes before you use it makes a big difference in how your baked goods turn out. Now make sure that you rinse and drain the black beans well. You don’t want any of the aquafaba in the brownies. 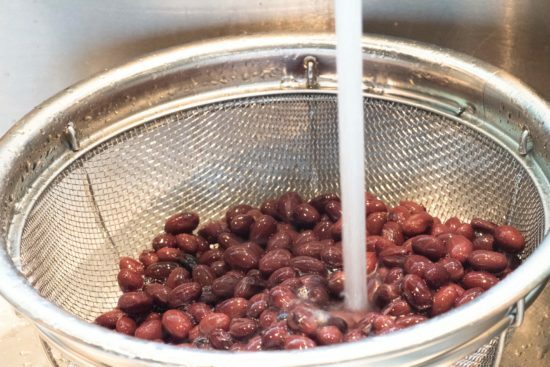 Aquafaba is the name of the liquid that the beans are cooked in. 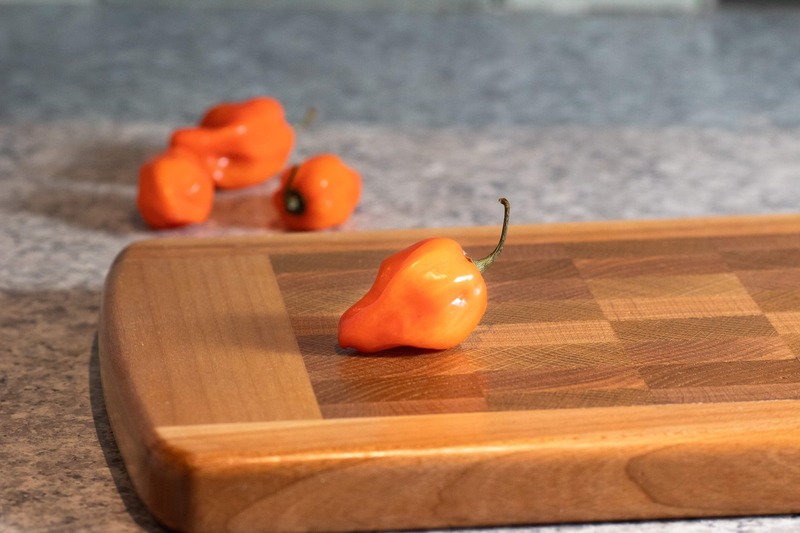 Next you have to de-seed and take out the ribs of the habanero. Make sure that you wear gloves for this so you don’t get the oils on your skin! Put everything in the blender and blend until it is smooth. You might need to add a bit more plant based milk if your blender won’t mix it. 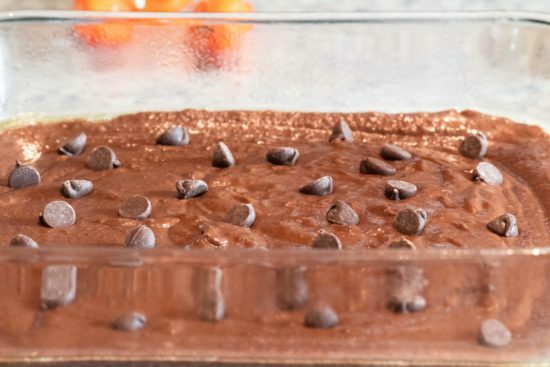 Pour it into a greased 8 x 8 baking dish and top with vegan chocolate chips. You want to bake this until the edges start to pull away from the sides. Depending on your oven, it can take 50 minutes or more. 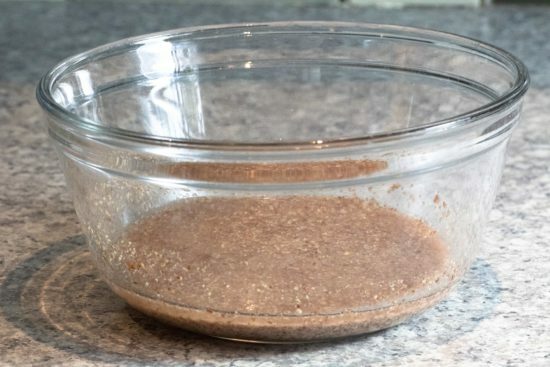 Make the flax eggs and refrigerate for 15 minutes. Remove the seeds and ribs from the habanero. Make sure that you wear gloves. 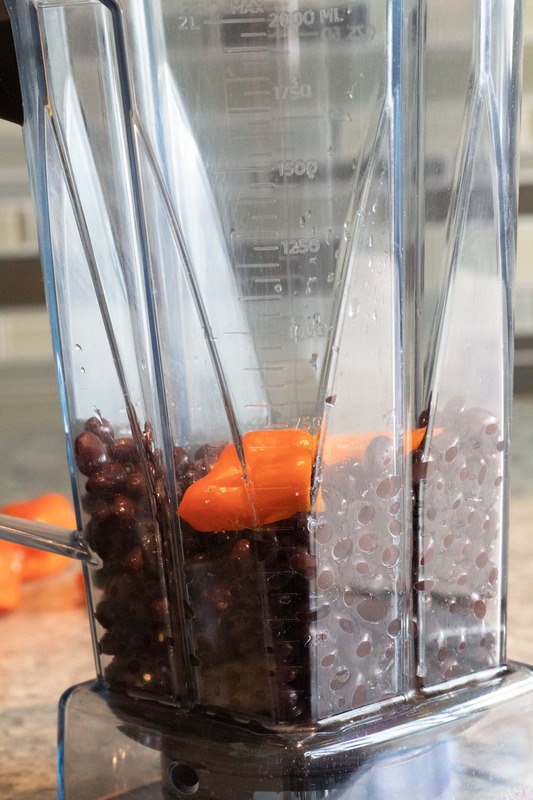 Combine everything except the chocolate chips into a blender, and blend until it's smooth. Pour the mixture into a lightly greased 8 x 8 baking dish. Sprinkle with chocolate chips. 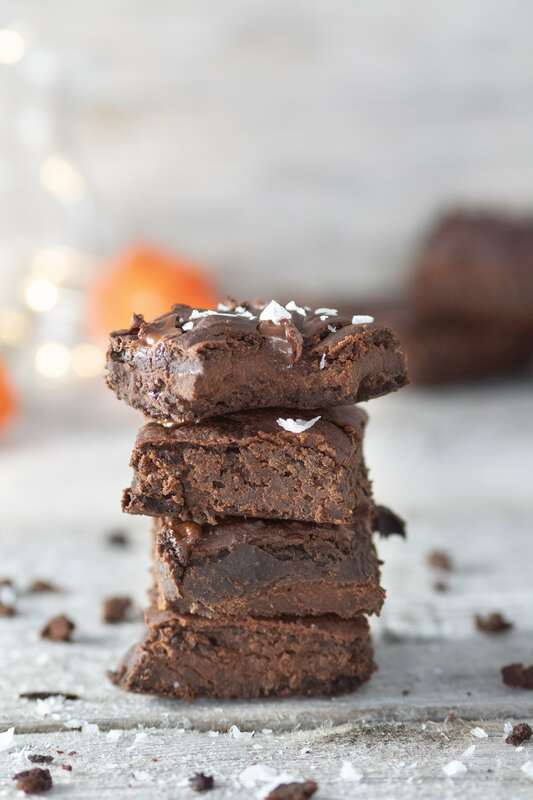 Bake until the top of the brownies is dry and the edges start to pull away from the sides of the baking dish; approximately 50 - 60 minutes. Delicious. 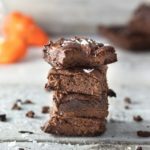 No way to tell that it’s not a regular brownie!